TWO Papua New Guinea lifters have automatically qualified for the 2018 Commonwealth Games in Gold Coast, Australia. Weightlifting sensation Steven Kari (94kg) and his fellow Hanuabada villager Morea Baru (62kg) were among 16 lifters (both men and women) who have gained automatic entry. Their automatic entry follows the successful Commonwealth and Oceania Youth Juniors and seniors championships held on the Gold Coast recently. Oceania Weightlifting Federation secretary Paul Coffa said the championships was a great success. It was a test event for next year’s Commonwealth Games and everyone involved was pleased with the outcome. PNG Weightlifting Federation president Sir John Dawanincura confirmed that Baru and Glasgow Commonwealth Games champion Kari had automatically qualified for the Gold Coast Games. He added that the official Commonwealth weightlifting rankings will be released before next month by the Commonwealth Weightlifting Federation. 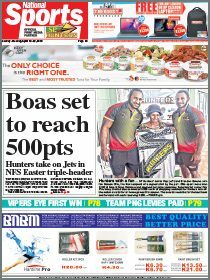 “We will obviously have to wait for the official rankings, however, Paul Coffa and I are confident that the other four PNG lifters will all qualify, including our new talent Lorraine Harry, who is 21 years old,” Sir John said. 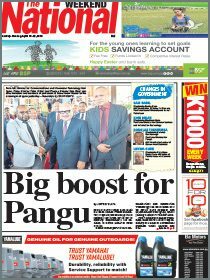 Sir John is expected to issue a full statement later this week on the performance of the PNG weightlifters. Meanwhile, New Caledonia will host the 2018 Oceania championships for seniors, juniors and youths, plus the Youth Olympic qualification event at the Weightlifting Institute next June. Pacific Games chief executive officer Andrew Minogue confirmed that the Oceania championships in 2019 would be held concurrently with the Pacific Games which would minimise costs for many Pacific Islands.